Sir Royston Hopkin KCMG, respected Caribbean hotelier and owner and chairman of the award-winning Spice Island Beach Resort in Grenada, addressed the importance of excellence in his keynote presentation at the 2017 Caribbean Hospitality Industry Exchange Forum (CHIEF), urging hoteliers to focus on their uniqueness and excel in service. 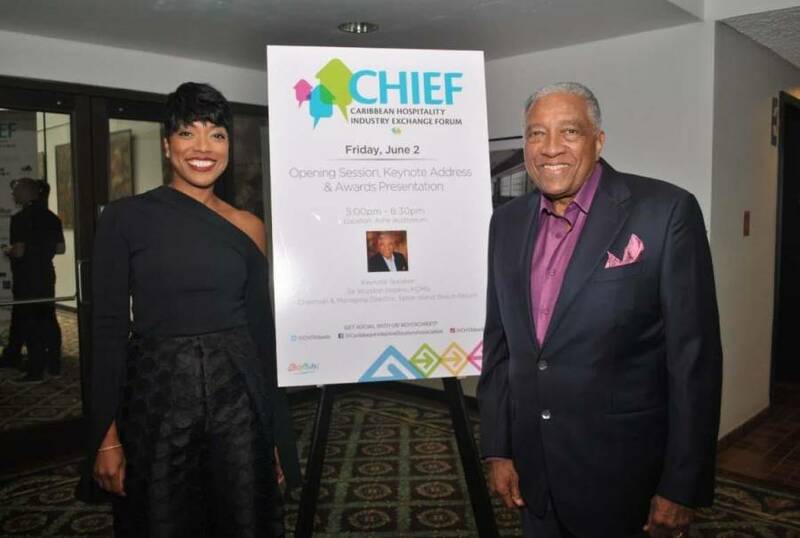 Introduced by Janelle Hopkin, Spice Island Beach Resort’s Deputy Managing Director, Sir Royston addressed over 400 event attendees including government officials, hoteliers, hotel partners, vendors and other hospitality professionals at the opening event on 2 June, at the Hyatt Regency in Miami, Florida. With an extensive and distinguished career in the hospitality and tourism industry spanning more than 52 years of contributions to his home country, Grenada and the entire Caribbean region, Sir Royston drew upon his vast experience in the industry to highlight the “power and commitment to excellence” – the theme of his keynote address. Profoundly resonating with the audience, Sir Royston received a standing ovation after his closing line, “You have the power to excel, use it,” and was quoted throughout the conference in various sessions, on social media outlets and by CHTA’s CEO and Director General, Frank Comito, in CHIEF’s final general session.